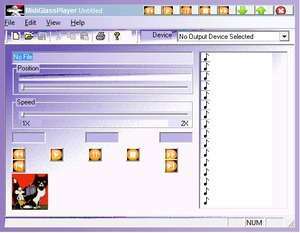 MidiGlass Player is for auditioning all types of MIDI files. It also can modify MIDI files themselves. You have the option to cut, copy or paste different parts of the file. You can also adjust the speed of the file. For security reasons, you should also check out the MidiGlassPlayer download at LO4D.com which includes virus and malware tests. Additional screenshots of this application download may be available, too.